Home / Articles / How Can A Dad Ensure His Children Are Protected? I share joint custody of my two children with my ex-wife, who is the custodial parent. She is dating a guy who has previously been convicted of child abuse. I really do not want my children spending time around him as I believe it is not safe for them. Everybody I have talked to says I can’t do anything unless something happens to the kids. Is that true? As a joint parent, is there any way for me to be proactive to protect my children? Please be advised that I am barred in Missouri and will answer your question based on my experience practicing in Missouri. 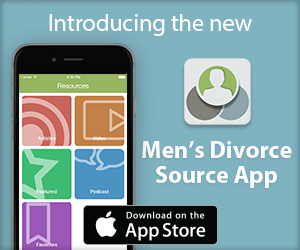 I would suggest contacting a family law attorney in your area. In Missouri, if we believe there is harm to a child, we can file a petition for preliminary injunction or temporary restraining order. We set out for the court why we believe the children are in immediate danger and need protection from the court. You will likely need the details of his felony child abuse charge (when it occurred, where, what happened, etc.) to provide the attorney so they can argue your children need protection from this individual. You may not prevail and get the restraining order because nothing has happened yet, but it might be worth a shot to protect your children. 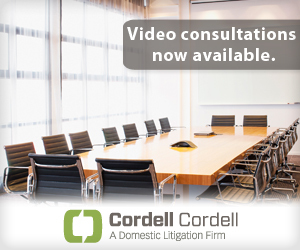 To arrange an initial consultation to discuss divorce rights for men with a Cordell & Cordell attorney, including Missouri divorce lawyer Erin M. Zielinski, contact Cordell & Cordell. I am a father have joint custody of my 3 children. Recently a CPS case was opened for my youngest son being abused by my ex-wife Alison Ramos’s husband Joe Gilbert Ramos. They both were accused of grabbing my youngest son 10 years of age by the ear to the point it was bleeding and has a scar. the stepfather Joe was accused of grabbing my son by the arm and leaving finger and thumb bruises. The case worker visited the school, the home in Lago Vista, TX and interviewed numerous people. I was told by the case worker the Ramos’s were warned about their treatment of my son and the case was closed. The case worker did say they will be visiting with Aiden and interviewing the school regularly through the next year. Is there a case for my to reduce their possession? I currently have Expanded State Standard rights. BTW I live in Tuolumne county CA, case is in Amador county, boys were born in San Mateo county. I had primary custody of my boys after filing with the court where we were living then (Amador) after mother abandoned my sons, 1yr 8mo old and 2yr 6mo old and I Christmas 2013. I had 89% then 87% then 72% when unbelievably biased judge along with GAL gave mother almost 50% 12/7/17. I’m still the custodial parent although now they go to school with her. Their grades and health have plummetted. As if the abuse along with never taking them anywhere, they aren’t even allowed outside, even in the backyard! I have the same scenario except even worse: the stepfather has already blatantly abused my boys. Stepfathers mother (boys mothers new mother-in-law) is a long-time employee for HHS in the county, as they share the same office and phone # and obvious business and personal relationships as CPS there. 10 page Drs report states 3 times-“NON-ACCIDENTAL INJURY TO CHILD” and also that my sons most recent injuries were consistent with his description of what happened. He’s 7 years old and high functioning autistic. His 6 year old brother gave the exact same description of what happened. I had temporary custody for only a week when the judge ruled my boys back to the same visitation schedule except stepfather not present while they were visiting mother. The GAL has been representing the mother not the children. She objected more than triple to anything I said even more than mothers attorney. GAL was told by judge to work with CPS investigating. CPS gave ridiculous excuses for the stepfather like ‘he would’ve had bruises on his fingers’ if he grabbed my boys arm and repeatedly slammed it to the carpeted floor and left large finger-print bruises on my sons arm. CPS also had their ‘expert’ look at a PICTURE of my boys injuries stating a timeline of about a week. I hadn’t seen my boys in 5+days. Drs report states 2-3 days max. Mothers written response said she saw bruises Sunday evening after I dropped boys off to her that evening. School called CPS Friday morning when Teacher and aids saw bruises. I asked CPS why school didn’t call earlier in the week. Her response:’he was probably wearing long-sleeves because it was colder’. It wasn’t. Mother said stepfather was working. my son said ‘it was starting to get dark’ when his stepfather abused him. This is consistent with his break time where he goes to the home 6-7pm. CPS and GAL excused stepfather and even said despite all this evidence, that my allegations were ‘unfounded!’ This is only the most recent incident. I have other Drs reports regarding other instances of abuse including the boys mother punching my younger son 5yo in the stomach and in the face. I have had my boys tell CPS, sheriffs, Drs and teachers yet they are never held accountable! How much more abuse do my boys need to have inflicted upon them? I’m at the end of my rope ready to take matters into my own hands. Unfortunately this would put them with the abusers even more. I never got responses to my calls or emails to the CPS supervisor. No Ombudsman so wrote the board of supervisors (same office mother-in-law at HHS shares) and was rejected when I submitted pics, Drs reports, court paperwork and a video of my boys, asking for my child custody matters be moved from that county to the county I now reside or the county the boys were born. Where do I go to get justice?